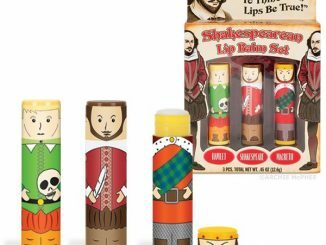 Shakespeare fans now have a candy just for them. 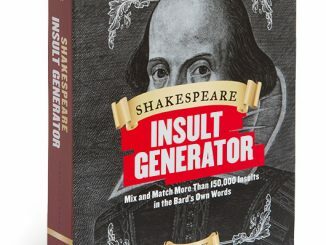 This Shakespearean Insult Gum is perfect. 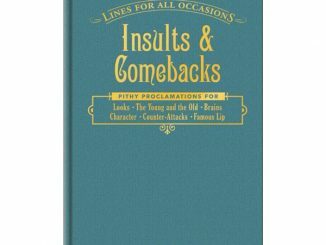 You get some good candy and some genuine Shakespearean insults. 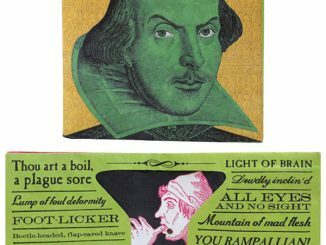 This insult Gum looks like a miniature collection of Shakespearean masterpieces. 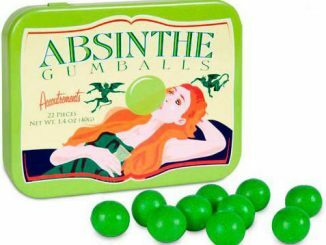 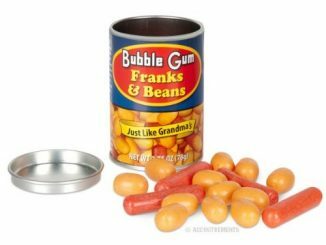 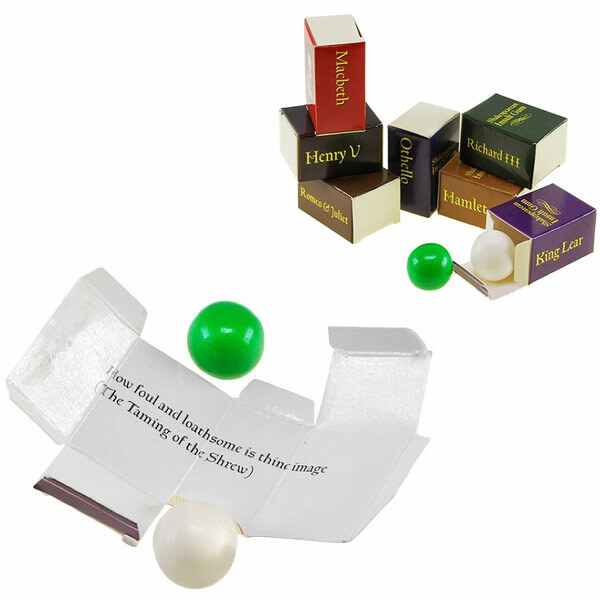 And each 1-inch tall box contains two fruit-flavored gum balls along with a Shakespearean insult. 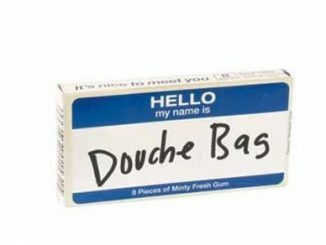 Insult your friends in style while chewing away on your gum. 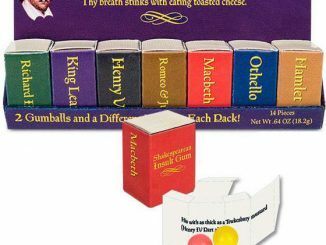 You get 7 little volumes in a miniature bookshelf. 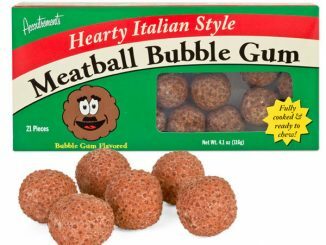 That’s 14 gumballs and 7 insults. 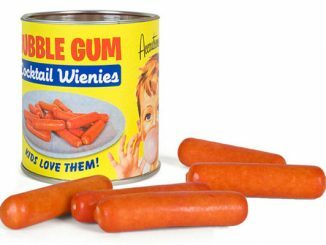 It is only $2.59 from Stupid.com. 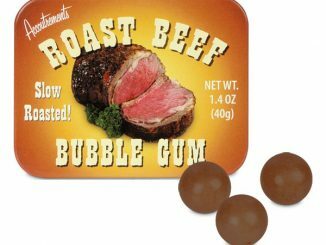 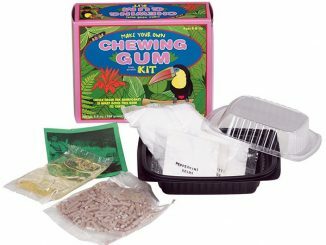 Gum and insults is a great combo.